Marvel’s one of the most iconic series, Marvel Team-Up is all set to make a return in April. Writer Eve Ewing is going to relaunch the series with a Spider-Man centric storyline accompanied by Ms. Marvel aka the soon-to-be cinematic hero known as Captain Marvel. 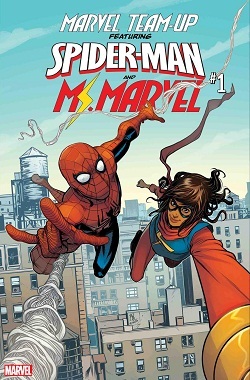 As Marvel puts it- After a science demonstration at Empire State University goes awry, Ms. Marvel and Spider-Man find themselves tangled up in the same chaotic adventure. So is it destiny? Or disaster?! 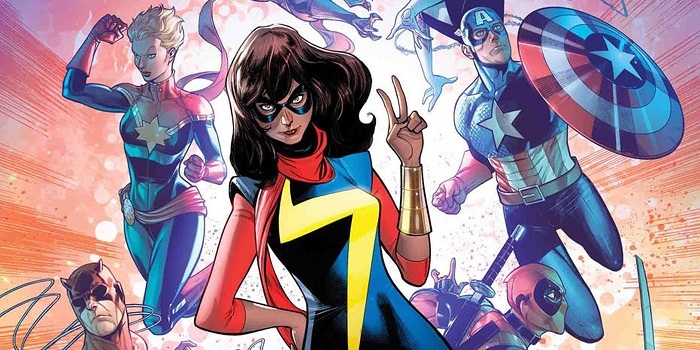 Marvel is possibly giving Ms. Marvel a promotion, with the announcement that she will soon star in a third ongoing comic book series, which will introduce her to the rest of the Marvel comic book universe. The character, whose secret identity is high school student Kamala Khan, will star in a new version of Marvel Team-Up, a superhero series that originally launched in 1972. This title is the latest example of Marvel using the Khan character, who is also central to the Marvel Rising multi-platform campaign to gain younger fans for Marvel properties alongside Squirrel Girl, as a potential outreach tool to new audiences. With art by Joey Vazquez, the first arc of the new ongoing tale will see Khan and Parker take on the eponymous task as the magnificent new series begins!